The rose gold shade in the duo - MAC Jest eyeshadow is paler and has more pink and less peach, MAC Expensive Pink eyeshadow is darker, more orange with a gold duochrome. 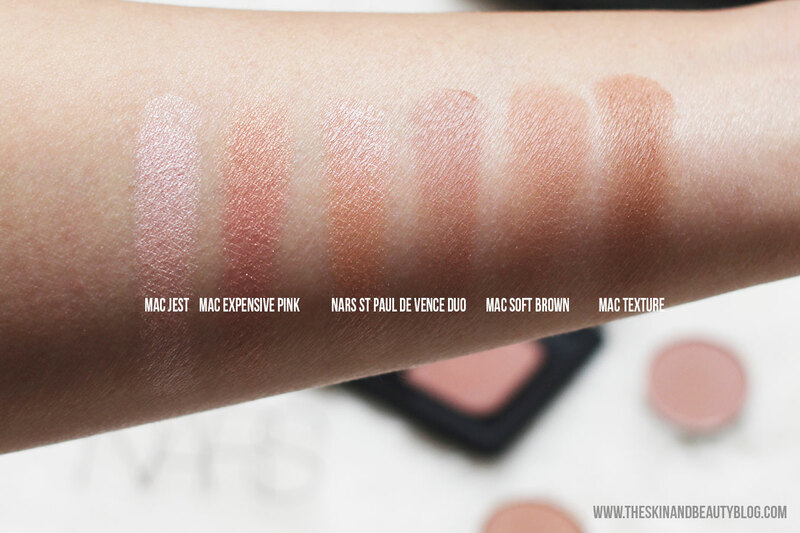 The matte brown shade - MAC Soft Brown is more peach and lighter, MAC Texture eyeshadow has more yellow undertones. While the colours from this eyeshadow duo are not unique, it is very pretty with wonderful easy-to-use textures. The eyeshadows are easy to apply with the fingers and of course even better with brush-guided applications. The size of this palette is perfect for your handbag for on the go wear. 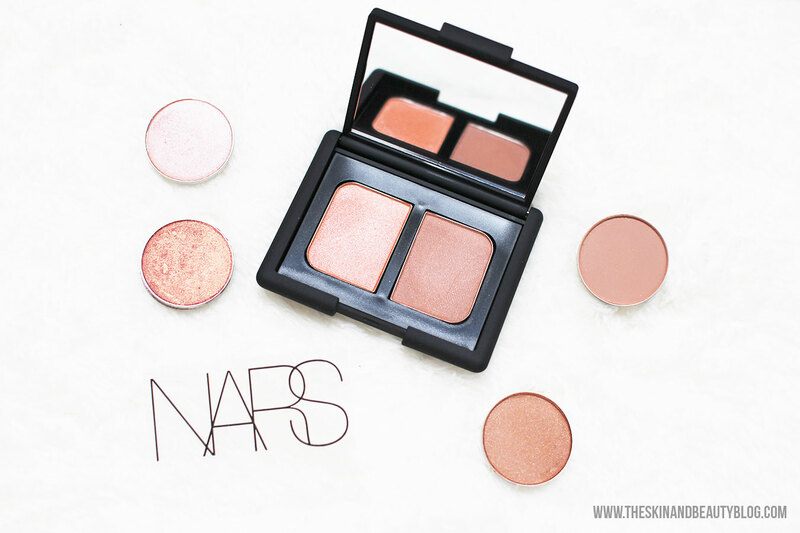 NARS St Paul de Vence eyeshadow duo is not a must have but I'm glad to have picked it up to update my collection for this season and the next to come.